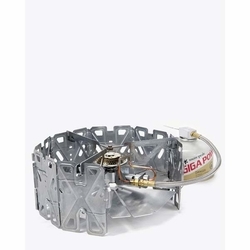 Snow Peak GeoShield Stove. Built around a remote canister design that allows for both upright and inverted fuel position. The windscreen is designed to protect your flame while still allowing proper oxygen flow.